Sami Sippola (saxophones), Ville Rauhala (double bass/electric bass) and Simo Laihonen (drums) are three young talented musicians from Tampere, Finland. They form the free jazz band “Black Motor”. The industrial city of Tampere, the "Manchester” of Finland, is located between two lakes with 18 m of level difference, the Näsijärvi and the Pyhäjärvi, which are connected by the rapids of Tammerkoski, an hydraulic power source. The energy of Black Motor collective improvisation is breaking the ice in the city of "Manserock" (Manse=Tampere), giving us an idea about their capacities on warmer atmospheres. 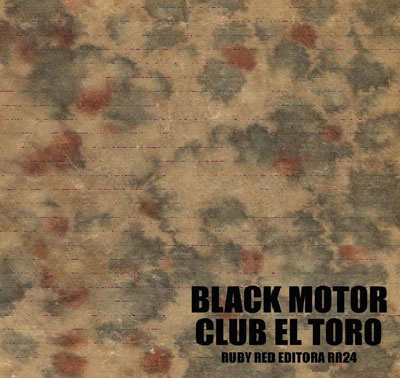 "Club El Toro", their recent work, is available on the Portuguese Ruby Red Editora.